I think it won’t surprise anybody when I say that Google loves silently updating their apps. Most of the times, your first source of hearing about those updates are technology portals like XDA. Also considering the fact that they often do server-side updates instead of just pushing out the updated APK, it’s so hard to keep track of them. Gradual rollouts and A/B testings are also some of the factors making the changes unnoticed to the untrained eye. Obviously, we are always keeping a close eye on these occurrences. 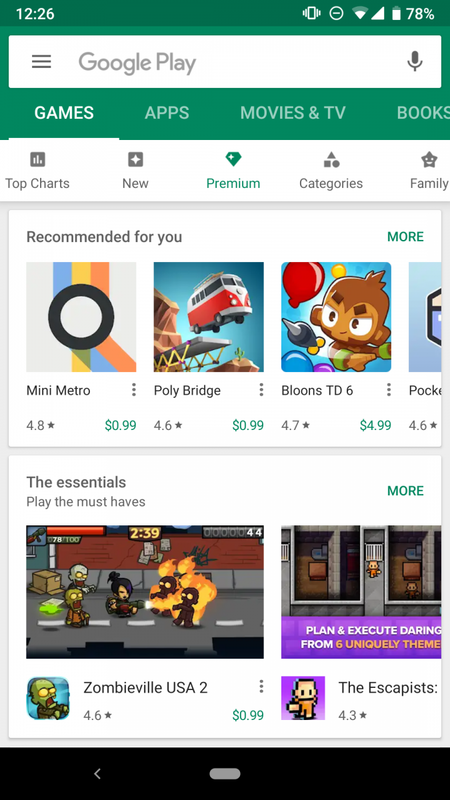 Over the last few days, we’ve noticed two independent new features in the Google Play Store. 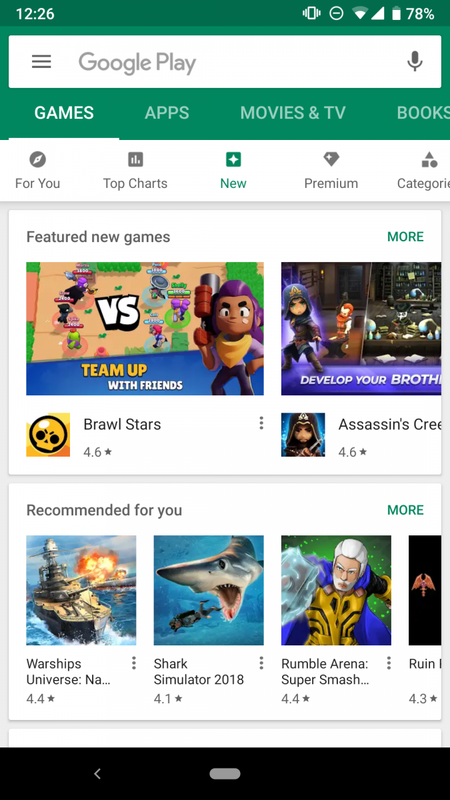 The first one gives users the ability to receive the latest deals and updates from the Play Store. 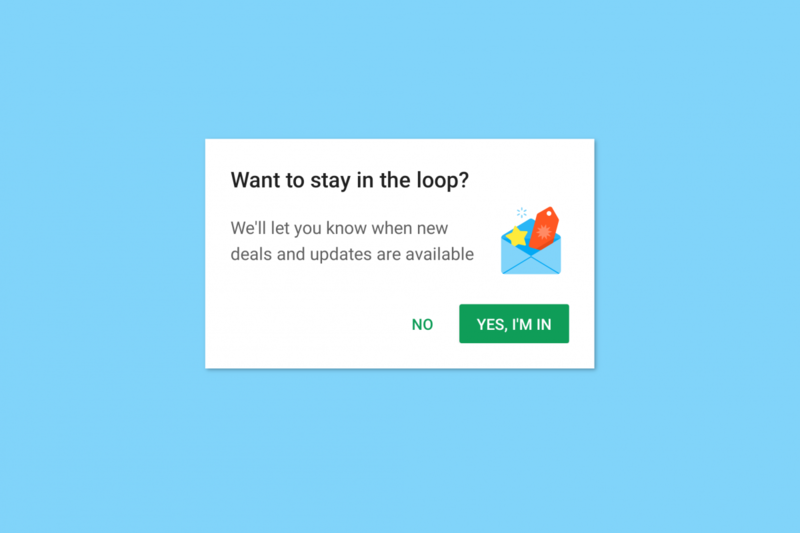 Most likely, after enabling the feature, Google will be sending you notifications about highly anticipated apps and games, like if there will ever be the next Pokemon GO. You may also receive notifications about big discounts or IAP prices. We opted in for the feature but didn’t receive any notifications so far. We’ll try to let you know all the details as soon as we have it. 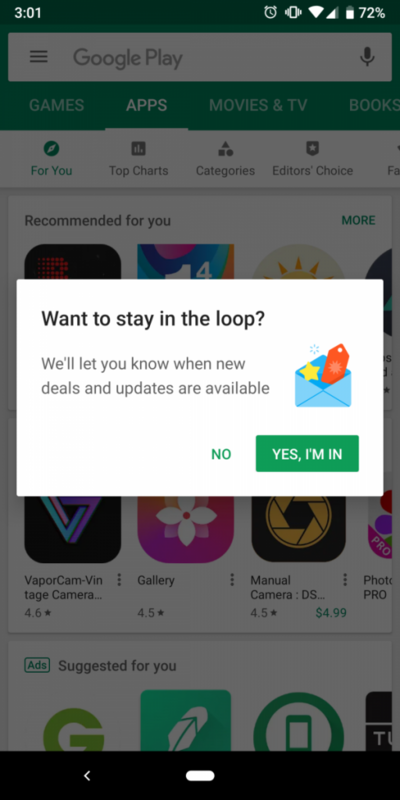 Meanwhile, take a look at the pop-up some of our editors received upon opening the Play Store. 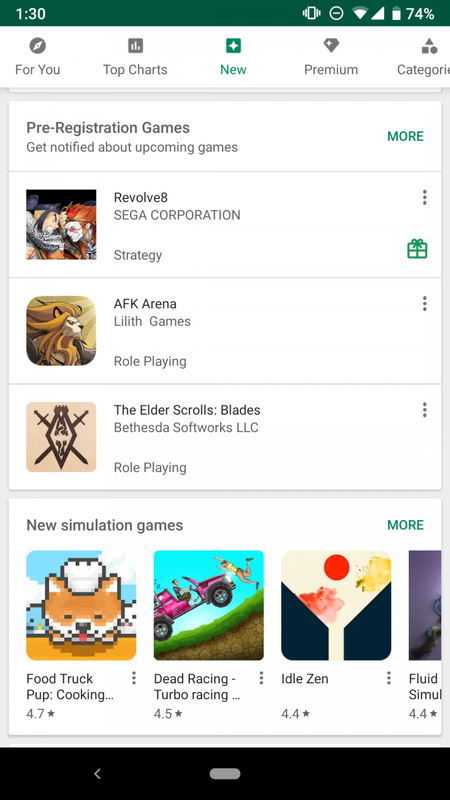 The second feature is the “New” and “Premium” categories in the top navigation bar of the Play Store. The “New” category includes apps that are fresh to the market, obviously. It also has some of the unreleased apps and games which offer pre-registration. The “Premium” category includes paid apps and games. You can see the screenshots below. As always, we don’t exactly know the scale of the updates. Some of our editors received the “Stay in the loop” update, while I and others received the “New” and “Premium” tabs. Both of those are independent and there is currently nothing known about the details or the release date.